Chicos de Nazca is a band from Santiago de Chile, based in Berlin, formed in 2010 by Francisco "Kb" Cabala from the bands La Hell Gang and Cindy Sisters. Getting lost inside your own head can have it’s advantages, and we can learn a lot about expanded consciousness from our Chilean friends here, as Chicos de Nazca will use the blasting power of repetition and reverberation to carve a hole in your soul as deep and abysmal as anything that’s come before them, dredging your skull through the lysergic fractal fragments of your mind. 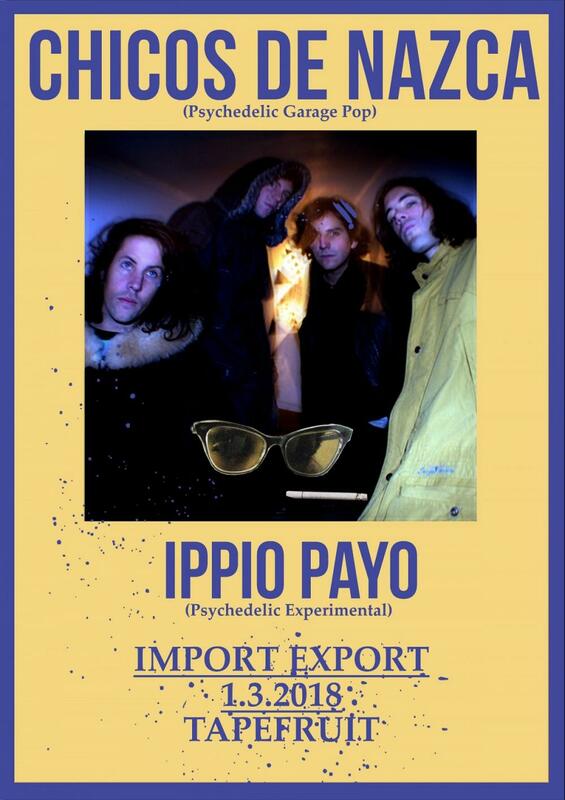 Ippio Payo is the alter ego of Josip Pavlov – Munich-based musician, composer and defining member of bands such as Majmoon, Das Weiße Pferd, The Grexits , Zwinkelman or NAQ. His work in film and theatre further underlines his multi-instrumental knack.